Laoag, officially the City of Laoag (Ilocano: Siudad ti Laoag) and capital of the province of Ilocos Norte, Philippines. According to the 2015 census, it has a population of 111,125 people. The municipalities of San Nicolas, Paoay, Sarrat, Vintar, and Bacarra form its boundaries. The foothills of the Cordillera Central mountain range to the east, and the West Philippine Sea to the west are its physical boundaries. Laoag experiences the prevailing monsoon climate of Northern Luzon, characterized by a dry season from November to April and a wet season from May to October, occasionally visited by powerful typhoons. Long before the coming of the Spaniards, there already existed an extensive region consisting of the present provinces of Ilocos Norte, Ilocos Sur, Abra and La Union renowned for its gold mines. Merchants from Japan and China would often visit the area to trade gold with beads, ceramics and silk. The inhabitants of the region, believed to be of Malay origin, called their place "samtoy," from "sao mi itoy," which literally meant "this is our language." In 1571, when the Spanish conquistadors had Manila more or less under their control, they began looking for new sites to conquer. Legaspi’s grandson, Juan de Salcedo, volunteered to lead one of these expeditions. Together with eight armed boats and 45 men, the 22-year-old voyager headed north. On June 13, 1572, Salcedo and his men landed in Vigan and then proceeded towards Laoag, Currimao, and Badoc. As they sailed along the coast, they were surprised to see numerous sheltered coves ("looc") where the locals lived in harmony. As a result, they named the region "Ylocos" and its people "Ylocanos". As the Christianization of the region grew, so did the landscape of the area. Vast tracts of land were utilized for churches and bell towers in line with the Spanish mission of "bajo de las campanas" or 'under the bells'-a proclamation by King Philip's 1573 Law of the Indies. In the town plaza, it was not uncommon to see garrisons under the church bells. The colonization process was slowly being carried out. The Spanish colonization of the region, however, was never completely successful. Owing to the abusive practices of many Augustinian friars, a number of Ilocanos revolted against their colonizers. Noteworthy of these were the Dingras uprising (1589) and Pedro Almasan revolt in San Nicolas (1660). In 1762, Diego Silang led a series of battles aimed at freeing the Ilocanos from the Spanish yoke. When he died from an assassin’s bullet, his widow Gabriela continued the cause. Unfortunately, she too was captured and hanged. In 1807, the sugar cane ("basi") brewers of Piddig rose up in arms to protest the government’s monopoly of the wine industry. In 1898, the church excommunicated Gregorio Aglipay for refusing to cut off ties with the revolutionary forces of Gen. Emilio Aguinaldo. Unperturbed, he established the "Iglesia Filipina Independiente." Aglipay’s movement and the national sentiment it espoused helped restore the self-respect of many Filipinos. "The great increase in population from 1715 to 1818 from 18,980 to 282,845 made the administration of the province very difficult. Due to the excessive monopolies and forced labor, there were several uprisings: first by the people of Dingras in 1589; one that was led by Pedro Almazan in 1616; the revolt of Diego Silang in 1762-1763; by Ambaristo in 1788; by Pedro Mateo in 1808 (also known as Basi Revolt) and uprising of Sarrat in 1815. For this reason, the division of the Ilocos into two provinces was recommended by the local authorities. On February 2, 1818, a Spanish Royal Decree was promulgated dividing the Province of Ilocos Norte from Ilocos Sur. 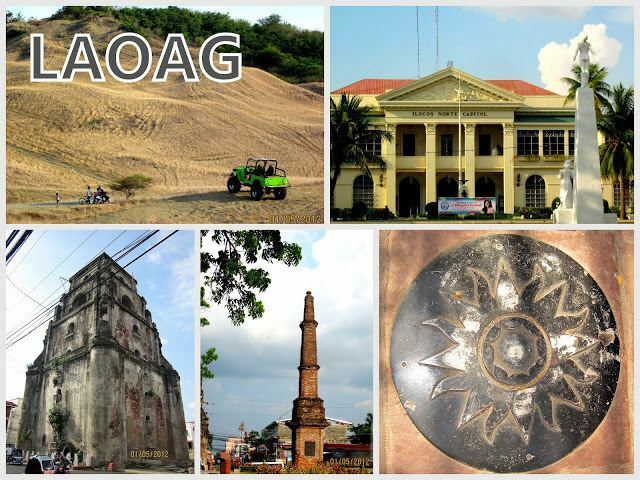 Laoag City, which was then the biggest center of population, was made the capital of Ilocos Norte." Though Laoag was converted into a city in 1965 through a plebiscite, leaving its municipal status, it remained the capital of Ilocos Norte. The first city mayor was Eulalio F. Siazon. 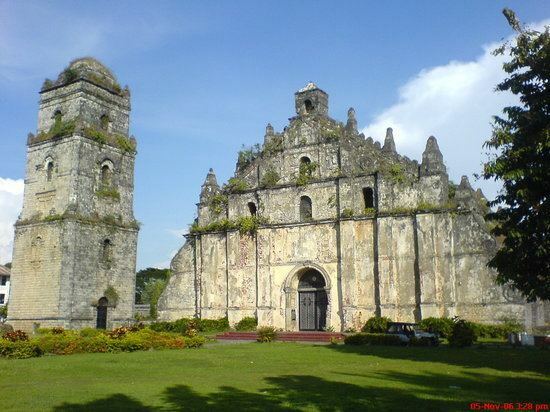 Laoag is located at the west central part of the Province of Ilocos Norte bordering the West Philippine Sea. It is bounded on the east by the Municipality of Sarrat; in the southeast by the Municipality of San Nicolas; in the southwest by the Municipality of Paoay, in the northeast the Municipality of Vintar; in the northwest by the Municipality of Bacarra; and in the West by the South China Sea. 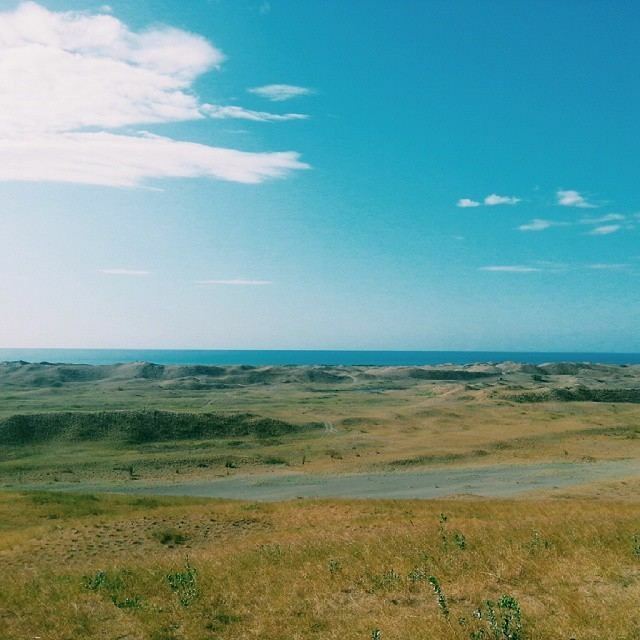 It is one of the largest cities in the Ilocos Region. Laoag has a tropical savanna climate with warm to hot temperatures year round. Temperatures dips sightly during the winter months between December to February. Characterized by two well-pronounced seasons; dry and wet and is classified as mild and pleasant climate. Dry season usually starts in November until April and wet during the rest of the year. The city is shielded from northeast monsoon and trade winds by the mountain ranges of Cordillera and Sierra Madre but it is exposed to the southeast monsoon and cyclone storms. The rainy seasons, which has an average monthly rainfall of more than 100 millimetres (3.9 in). is from May to September with its peak in June, July and August. Rainfall during the peak month represents 68% of the annual rainfall with an average of 200 millimetres (7.9 in). In the afternoon of May, temperature reach up to 36.2 °C (97.2 °F) and drops down to 11.4 °C (52.5 °F) in the early mornings of January. The city recorded an average temperature of 27.25 °C (81.05 °F) with a relative humidity of 75.5% in 1996. The city experiences an average of four to five typhoons every year. In the 2015 census, the population of Laoag was 111,125 people, with a density of 960 inhabitants per square kilometre or 2,500 inhabitants per square mile. Laoag City had a total population of 94,466 for the year 2000 as per NSO official report. In 1995, the total inhabitants of the city was 88,336, an increase of 6,130. Based on the 1995 and 2000 intercensal periods, the Average Annual Growth Rate of the city was 1.35%. The number of households is 19,751 and the average household size is five (5) persons per household. Male-female ratio is 1:1; Birth rate is 26.44% while Death rate is 4.28%. In the city of Laoag as of year 2000, Urban barangay San Lorenzo had the largest number of population at 2,883, followed by Rural barangay Buttong at 2,277, and then by Barangay 2 Sta. Joaquina at 2,048. With the least inhabitants was Rural Barangay 39 Sta. Rosa, 592, and then Brgy. 52-A San Mateo, 594. Noticeably, the residents of Brgy. 23 San Matias decreased by 740. Its ethnic population is overwhelmingly Ilocano. Unlike the rest of the region, however, the Roman Catholic Church does not predominate. The Aglipayan Church which is the majority's religion, Iglesia ni Cristo, and other Protestant groups have strong followings. Building and Garden — the Ermita Garden and Building on top of the Ermita Hill. Bridge — formerly the Gilbert Bridge, recently renamed Marcos Bridge. Airport — the Gabu Airport, one of the international airports of the country. Tower — the Sinking Tower, one of the oldest and strongest edifices built during the early Spanish Regime. Monument — the Tobacco Monopoly Monument, the only one of its kind in the entire country. Laoag City is is one of the richest city in the country in terms of per capita income and Human Development Index. Strategically located at the northern tip of the Northwestern Luzon Growth Quadrangle. It is within two hours of jet travel to any one of East Asia’s economic tigers such as Hong Kong, Mainland China, Japan, South Korea and Taiwan by way of the Laoag International Airport if direct routes are opened and established. Having critical infrastructure such as the Laoag International Airport at Gabu and the Currimao Port makes Laoag the port of entry of goods and services complemented by an extensive road and highway system that connects it to other cities. An extensive banking system is also found in the city with an impressive number of twenty-five different local, domestic, and foreign banks ready to serve any financial needs. With a 12,747.35m total land area, Laoag City provides a large opportunity for economic expansion. The historic scenic tourist spots, availability of internationally competitive accommodations and facilities, and the presence of supportive national government agencies, makes Laoag an ecotourism center, as classified by the Department of Tourism. The Northwestern Luzon Growth Quadrangle, fondly called the North Quad, also aims to develop rural areas through an integrated countryside agri-industrial development approach with emphasis/focus in attaining sustainable and equitable growth; increase the productivity of agriculture and fisheries; encourage industrial competitiveness in the local and foreign markets like Taiwan, Japan, South Korea and Hong Kong. Plans are also being undertaken for the establishment of an eco-tourism village, which will showcase the rich cultural heritage of the Ilocano people and the local industries. Laoag and the surrounding municipalities also bolster a strong workforce. A proposed industrial park name "Laoag Ecozone" is set to rise within the city limits to host manufacturing companies. Opposite the industrial site will be housing projects and along the national highway going to the Laoag International Airport are rural barangays to become residential zones. At present, most industries in the city are small-scale consisting of small-scale food processing factories, rice mills, jewelry-making, hollow blocks factories, and metal crafts. The city is also in the forefront of green-technology after Danish investors set-up the first wind-driven powerplant in Southeast Asia, the Bangui Wind Farm. The 25-megawatt plant cost $47.6 million US Dollars. An $11 million US Dollar expansion is concurrently under construction, which is set to quadruple the capacity. As the provincial capital, Laoag is the center of social and economic activity with almost all major commercial and institutional establishments gravitating towards it. The importance of education in socializing its population is shared by both the local government and the private sector, which has invested heavily in the development of the academic infrastructure. The city is home to public and private schools offering elementary, secondary, and tertiary education programs. Current Philippine law requires free compulsory education to the general population from elementary to high school, as well as, subsidized tertiary education in state-ran institutions. Alternative private schools offering parallel programs to government schools are also found with additional programs to cater to students with various needs. These schools are an important component of the educational system and reflect the city's diversity as they include Chinese schools, Catholic schools, all-male and all-female boarding schools, and military schools. Most of the lower-level schools are government-owned and are divided into three districts comprising a total of thirty three primary and elementary schools. Seven private elementary schools are also present, however, most are sectarian and run by religious organizations. In addition, there are eight private and three public high schools, although the latter has significantly higher number of attendees. The Department of Education, Division of Laoag City is currently supervised by Ms. Aracelli C. Pastor. In order to provide continuing education to sustain the economic momentum of the region, the government has established tertiary public learning institutions in the city, the College of Teacher Education (CTE) and the College of Industrial Technology (CIT) of the Mariano Marcos State University. In addition, private colleges and universities are also found in the city, each with their own specialization. Some of private higher education institutions in the city includes Northwestern University, Northern Christian College, and Divine Word College of Laoag. Also found in Laoag are four private special vocational schools: STI Laoag, the Overseas Technical Institute, the Lazo Fashion School, and the Bel Arte School of Fine Arts. Tourism has become a major economic driver of Laoag City, paving the way for new commercial investments and infrastructure development. A recent surge in Chinese and Taiwanese tourists have been flocking to splurge in the city's profitable casino located inside the only 5-star hotel in northern Philippines, Fort Ilocandia Hotel and Resort. Other places of interest include a tour of heritage sites featuring Spanish colonial buildings, baroque churches, La Paz Sand Dunes, white-sand beach resorts of Pagudpud, and Marcos-era mansions. The Laoag Cathedral was built in 1612 by Augustinian friars to replace a wooden chapel. It also serves as the seat or central church of the Roman Catholic Diocese of Laoag. Built with an Italian Renaissance, the church has an unusual two-storey façade, supported by two pairs of columns on each side of the arched entrance architecture design and at the top of the facade holds a recessed niche that showcases the image of the city's patron saint, William of Maleval. The dramatic increase in tourist arrivals also prompted the establishment of a Chinese consulate to oversee the security of Chinese citizens living or visiting the city. A new immigration policy set to simplify entry of Chinese tourists into the country by issuing visitor visas in the airport after arrival is expected to entice more guests to come. To supplement the anticipated growth in tourist-related business activity, the government of Ilocos Norte has started construction on a multimillion-dollar convention center and hotel to supply the demand and diversify services. Laoag City has been named as one of the top tourist destinations in Region I and in the country. Laoag International Airport services flights to and from Guangzhou, as well as, domestic flights by Philippine Airlines. Foreign airlines offer direct charter flights to Laoag as part of travel packages with optional excursions to tourist sites outside of the city. Tourists can find travel agencies all over including ticket offices of several airlines in the airport terminal. Several large bus companies serve Laoag City making connections to major and minor Philippines destinations. These transportation services are provided by GV Florida Transport, Maria de Leon Bus Lines, RCJ Lines, RCJ Trans, Dominion Bus Lines, Partas, Philippine Rabbit, Sta. Lucia Express and Farinas Transit Company. Partas is also a major national bus line and also Autobus Busline. Laoag is 487 kilometres (303 mi) from Manila.